to the University of Montana Summer Music Camp. We have been offering this summer camp for many years and it has become a summer tradition in Montana and surrounding states. Attending music camp is a great time to interact with student musicians from around the region and to learn from our amazing instructors. Whether you are a serious, all-state level musician, or someone who just loves being around other musicians and performing, the UM Summer Music Camp has a place for you. We offer 4-different camps for students of all abilities from middle school through graduating high school seniors. Our camp staff is made up of UM School of Music educators, performers and artists. We are very proud of our staff. They are skilled educators who believe in what they teach and enjoy sharing their passion and knowledge of music with future generations of musicians. Our counselors are UM School of Music students who assist in instruction, sectionals, activities and overnight supervision. Many of these counselors were once Summer Camp participants and they work hard to create an experience that you will enjoy as much as they did. Campers will have many opportunities to interact with peers from around Montana and our neighboring states of Washington, Oregon and Idaho. In recent years we have had campers from as far away as Alaska, Texas and Florida. We pride ourselves on providing a safe, fun, and musical environment that encourages all of our campers to achieve their very best. Here is the schedule for the 2018 Summer Music Camp (Band/Choir/String). June 23-29, 2019 - For students entering grades 7- 2019 High School graduates. Participants in this summer program will enjoy full concert band, small ensemble, and solo performance opportunities. Students interested in jazz will have the opportunity to participate in jazz combos, theory, listening, big band, and jazz improvisation classes. We also offer a special track for students who are interested in learning more about jazz rhythm section playing. Optional classes include Conducting, Composing Music online, Jazz Improvisation, Private Lessons, and much more. Contact James Smart at james.smart@umontana.edu for more information about Band Camp 2019. June 23-29, 2019 - For students entering grades 9 - 2019 High School graduates. Vocalists will sing in the camp's major choral ensembles as well as chamber vocal ensembles. Choral participants receive daily instruction in sight-reading and theory. Also available are voice master classes, private lessons, and classes on special topics including techniques of singing, performance and musicianship. Contact Coreen Duffy at coreen.duffy@mso.umt.edu for more information about Choir Camp 2019. July 7-13, 2019 - For students entering grades 8 – 2019 High School graduates. Students participate in piano lessons, piano teams, keyboard skills and improvisation classes, master classes, and special topics sessions. A full array of social and recreational activities rounds out an inspiring and fun-filled week. Enrollment is limited so early registration is encouraged. 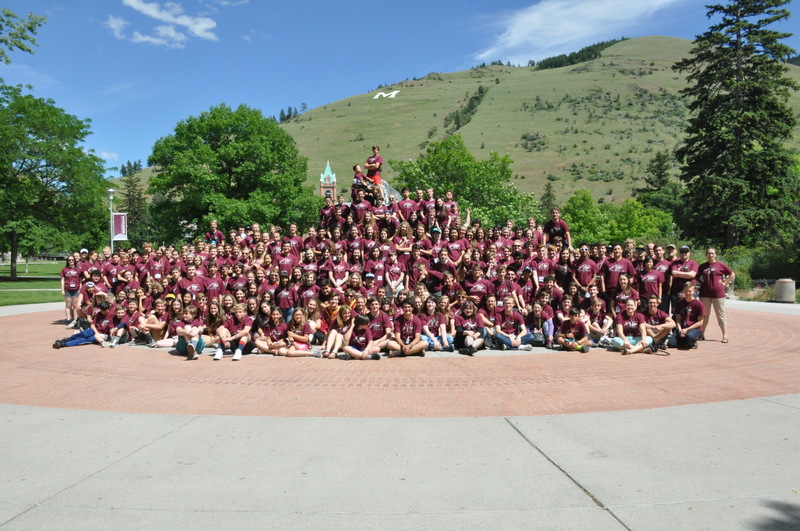 Contact Steven Hesla at steven.hesla@umontana.edu for more information about Piano Camp 2019. June 23-29, 2019- For students entering grades 8 - 2019 High School graduates. Students will participate in daily string orchestra and chamber music rehearsals. Students will also attend daily classes such as theory, special topics classes and instrument master classes. We encourage pre-formed groups and individuals to apply. Rehearsal and chamber music coaching time will be spent working on aspects of ensemble, rehearsal skills and musical style. In addition, some off campus performances will be scheduled and private lessons will be available if desired. Contact Margaret Baldridge at margaret.baldridge@umontana.edu for more information about String Camp 2019. Finale Concerts: Friday, July 12, 5:00pm and Saturday, July 13, 10am, Music Recital Hall, located in the Music Building, Parents and family are invited. $100 Resident Deposit due at the time of registration. $50 Commuter Deposit due at the time of registration. $200 Resident Deposit due at the time of registration. $100 Commuter Deposit due at the time of registration.